Test: Toxins in your mobile phone? How many hours per week do you hold your smartphone in your hand or by your ear? Maybe you check for messages, news or social updates several times per day. In brief, we are in frequent contact with our mobile phones. Consequently, EDC-Free campaign supporter the Danish Consumer Council THINK Chemicals stresses that it is vital, that our phones do not expose us to hormone disrupting chemicals (EDCs) or cancer-causing substances. In a previous test of head phones, the Danish Consumer Council THINK Chemicals found unwanted substances. 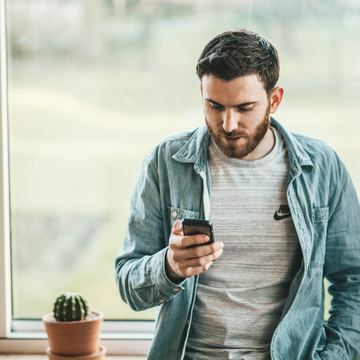 Now this new test reveals that you can text, surf or talk on your smartphone without having to worry about EDCs or cancerous substances. “We have been eager to see the results of the test, and it is better than expected. It is reassuring that all the 10 examined products do well in our test, when you consider the vast number of people who are in close contact with their mobile phones every day. However, the test does reveal small quantities of unwanted substances, and we urge the manufacturers to phase them out,” says Christel Søgaard Kirkeby, project manager in The Danish Consumer Council THINK Chemicals. The test revealed small quantities of substances suspected to be hormone disrupting – such as flame retardants, phthalates and Bisphenol A. However, the concentrations were so insignificant that Christel Søgaard Kirkeby does not deem them problematic for the consumer. “Electronic equipment has usually been known as an area where the manufacturers use chemical substances which are suspected to be endocrine disrupting or cancer-causing. But we are pleasantly surprised that only small amounts of these chemicals were found in the mobile phones. Consequently, they do not contribute in any significant way to the total amount of chemicals that we are exposed to in our everyday life,” she states. Earlier this year the Danish Consumer Council THINK Chemicals tested headphones. The test showed that 5 out of 16 head phones contained unwanted chemicals. But in the test of mobile phones there were no detection of unwanted chemicals in the enclosed earplugs.